The customer had an existing deck and patio in their yard which needed finishing touches added. We installed a new landscape around the deck and patio. 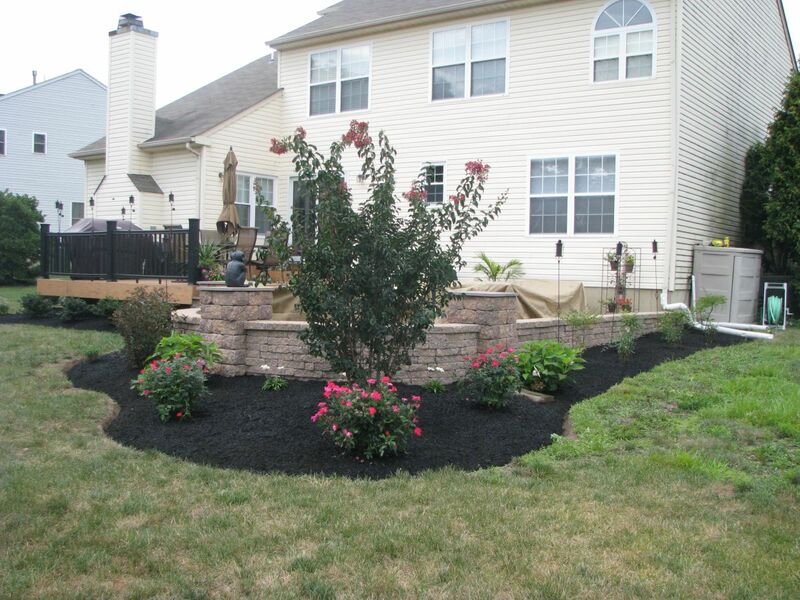 The landscape features low maintenance shrubs which are well suited for their home. Off of the corner of the patio you will see a Crepe Myrtle tree which blooms later than most trees but provide beautiful color through the summer. The landscape also features Knockout Rose shrubs around the Crepe Myrtle which will provide color from spring to frost.